Where Roots And Wings Entwine: JOHNSON’S® Tonight We Sleep™ Challenge - 3 Step Bedtime Routine. JOHNSON’S® Tonight We Sleep™ Challenge - 3 Step Bedtime Routine. 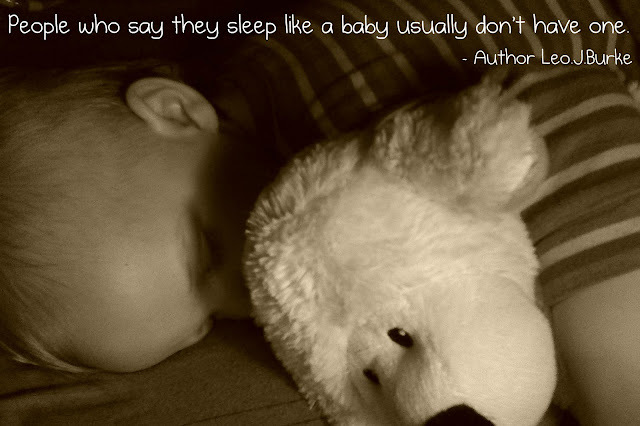 The preciousness of sleep was not something we truly understood until we became parents. 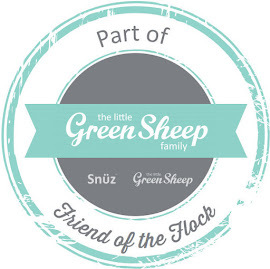 Sleep was something we took for granted, and then we had a baby and didn’t get any. Any decent sleep we managed to get was rejoiced and treasured, and bad night’s sleep - or should I say nights without sleep - were moaned about and took their toll on our energy levels and sanity. Those who say ‘I slept like a baby’ obviously have never had a baby! Whilst I am a believer that babies need to wake in the night for feeds, and can handle middle of the night feeds, there is a difference between a baby waking for a feed and then settling back to sleep relatively peacefully and quickly, to a baby who screams, wakes often or does not sleep at all regardless of being well fed, burped and with a clean nappy. With Bug we had the latter type of baby. Bug was a baby who never seemed to sleep, thriving on making us turn into sleep deprived zombies. 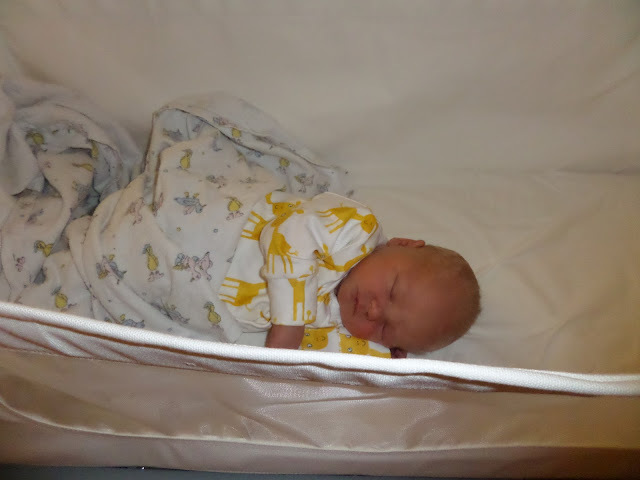 Fast forward 3 years and a bit when Bug had long given in to the blissfulness and necessity of sleep – a good, full night’s sleep at that – and we could enjoy and appreciate sleep once more, we welcomed a new baby into the house. Since the day Jelly Bean was born, even when ill and in and out of hospital, he has been a content and happy baby who has slept well – slept well in comparison to Bug that is who was such a bad sleeper that a baby who slept even slightly better and a little longer through the night would have been heaven. Whilst I am not one of those mothers who could rightly or wrongly brag that my baby slept through at days/weeks old as Jelly Bean obviously and rightfully woke through the night for breastfeeds, during the first few months of his life he settle well to blissful sleep for hours at a time, only waking for a feed which was more often than not a dream feed. His sleep was so deep and content he would even sleep through nappy changes. Now that he is a little older we have seen a change in his sleeping. As he has grown the time between feeds during the night have become longer, with him only needing a dream feed through the night – except for when he recently went through a feeding spurt which settled down quickly with him once again not waking as often for feeds as he did when experiencing his spurt. 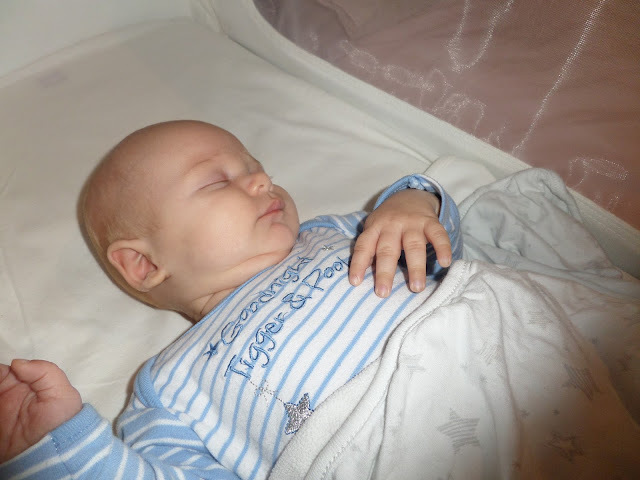 Whilst the lack of waking during the nights – which I partly give praise to the SnuzPod for as I can dream feed him from bed without having to move or disturb him – is the ‘dream’ sleeping routine for us, what has changed on a more negative note is settling him to sleep. Gone are the days when he would settle to sleep without any issue and stay asleep for hours without a murmur. During the last couple of months he has become harder to settle to sleep. Not only is it harder to get him to sleep, but once asleep it is often the case that he does not stay asleep for long, waking briefly a few times before finally finding a deep, content sleep that will see him through the night. Whilst I cannot conclusively put my finger on the cause of this change in settling him to sleep I have noticed that the changes have coincided with Bug’s return to school which leaves us with more of a cramped night having to pack in activities, homework and food as well as the bedtime routine. Jelly Bean’s nosey nature and inquisitive character has also come to the forefront which I think plays a part as he seems to not want to settle to sleep just in case he will miss out, and his heightened awareness and strong character means he gets over excited so easily. And once asleep he seems to be more easily disturbed by the noise of his big brother. With Jelly Bean not settling to sleep as well as before I do find that it has affected my one-to-one time and bedtime routine with Bug. No longer is the bedtime routine of bath, story and bed for both boys a relaxed one, it is at times challenging and rushed. Jelly Bean’s current sleep habits mean I often find myself juggling trying to settle Jelly Bean once again (when he would previously have been asleep long before and stayed asleep) and dedicating my time to settling Bug. The changes have also meant that the boys tend to disturb each other, Jelly Bean waking and crying disturbs Bug going to sleep, and noise from Bug’s bedroom seems to rouse Jelly Bean regardless of how quiet Bug is trying to be because Jelly Bean has not achieving a settled, deep sleep. 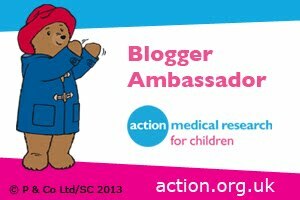 As I would like to get back to those nights where the bedtime routine was a relaxed and Jelly Bean settled well which in turn would give me the time to settle Bug rather than rushing my time with him I am keen to try a new bedtime routine. 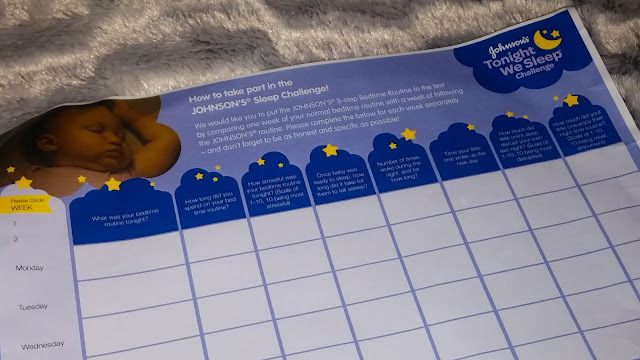 To try and help my beautiful baby boy settle at bedtime and stay asleep for longer which in turn would benefit the whole family, I am taking part in JOHNSON’S® Tonight We Sleep™ Challenge where we will be following the JOHNSON’S® 3-step clinically proven routine*. As the JOHNSON’S® clinically proven 3-step bedtime routine boasts being able to help babies fall asleep faster and stay asleep longer this bedtime routine seems like the answer to our prayers for achieving a happy, relaxed bedtime once again. To test out whether this 3-step bedtime routine helps Jelly Bean sleep better we will be using the Tonight We Sleep™ bedtime and sleep diary to compare a normal week of bedtimes to a subsequent week when we will follow the routine. Like our normal bedtime routine we will be starting with a lovely warm bath. Setting this step apart from our normal routine will be the addition of using JOHNSON’S® Bedtime Bath or Wash.
We will also ensure that we take full advantage of the benefits of bath time as a multi-sensory playground for Jelly Bean to enjoy so that the bath is SO MUCH MORE™ than just cleansing as we connect and bond together. - Play music and sing songs to stimulate baby’s brain: some music stimulates parts of the brain responsible for memory, whilst other types of music stimulate visual imaginary. - Talk to baby as you bath them: speaking to baby can help with language development and according to research sourced by JOHNSON’S® studies have found that infants spoken with more have larger vocabularies by 24 months of age. - Maintain eye-contact and touch: baby’s sense of sight and touch are evoked if you give your baby lots of attention whilst bathing which is also beneficial to creating and strengthening the bond between baby and parent. - Play: playing with bath toys can help baby develop hand eye-coordination, stimulate senses and create a fun, happy atmosphere. Playing with bubbles is a way for baby to discover objects exist even when they cannot be seen. Following the 3-step routine we will give Jelly Bean a soothing massage after his bath to hopefully help make him relaxed and comfortable before bed. 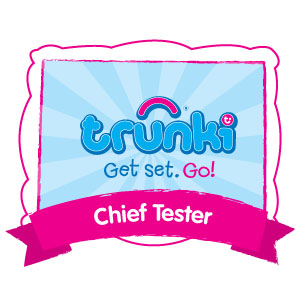 - Start by ensuring baby is dry and warm, and settle on a comfy, safe surface. - Use JOHNSON’S® Bedtime Oil or Lotion, warmed in hands, to massage baby’s skin. - Maintain eye-to-eye contact with baby as you massage baby, starting on baby’s tummy then down to massage legs and back upwards, using small soft circular motions. - Ensure baby is happy throughout the massage by watching their reactions. We will finally hopefully help settle and relax Jelly Bean by calming him down with quiet time. JOHNSON’S® suggest to keep things quiet and calm, avoiding things that create too much noise or over stimulate baby. Playing lullabies, singing or reading are suggested by them for baby’s quiet time. 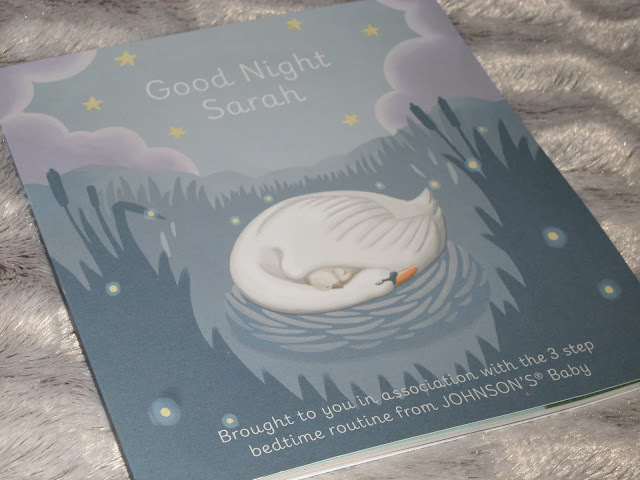 We will be trying out ‘Good Night Sarah’ book created by the makers of JOHNSON’S® during quiet time with Jelly Bean. Once he is calm, relaxed and sleepy we will then put him to bed as we normally do. I cannot wait to try the JOHNSON’S® 3 step bedtime routine and hope it works for settling Jelly Bean so that he settles better and sleeps for longer so that our home is a relaxing place to be during bedtimes so we all get to sleep earlier and the whole family experience full nights of blissful sleep. 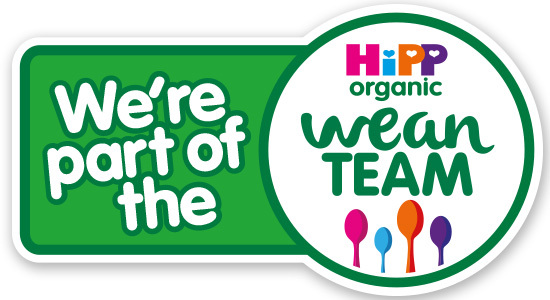 We will be updating you in two weeks’ time about how we got on with the JOHNSON’S® Tonight We Sleep™ Challenge. 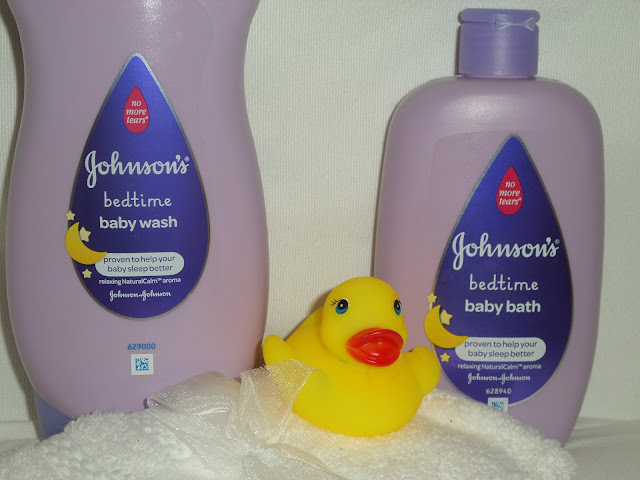 Do you use any JOHNSON’S® products as part of the bedtime routine of your little ones? Have you tried any of JOHNSON’S’® tips for bedtimes? Sounds like a good routine!! I'm a huge fan of the baby bedtime bath. Even though Amelia's not a baby anymore I still use it sometimes, I love the smell!! Good luck! It all sounds like a nice way to go to bed.. imagine a massage every night as a grown up.. bliss! I hope it works for you! I love Johnson products. Sounds like a great routine. 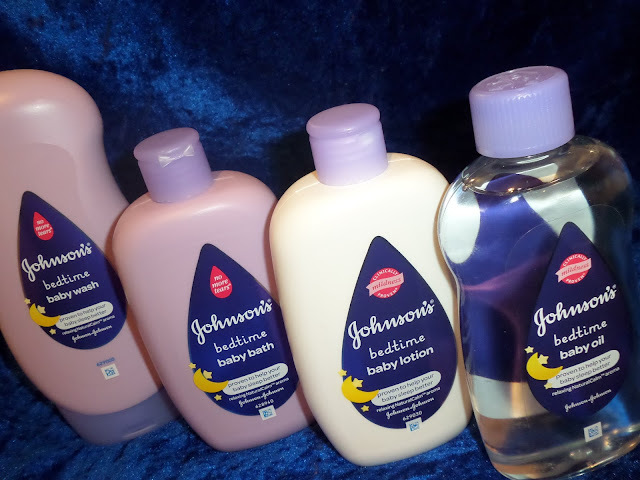 I love Johnsons baby products, the bath wash smell so lovely and relaxed me let along my babies!